A man, woman, and two boys were arrested after a break-in at Co-op in Lindfield. Two boxes of lager were stolen from the shop and a mountain bike from the back of a property close by, police said. A Sussex Police spokesman said: “Police were called to a report of a bike theft from High Street, Lindfield, at 3am on Thursday (June 28), and then shortly afterwards to a report of a break-in at the Co-op store also in the High Street. 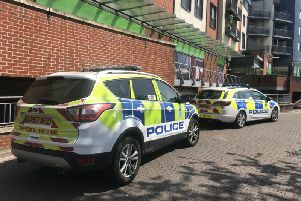 “Officers carried out a search and arrested a man and a woman and two boys in connection with the incident. “An 18-year-old man from Lindfield was detained on suspicion of burglary, theft of a pedal cycle and possession of cannabis. “A woman, aged 18, from Billingshurst was also arrested on suspicion of burglary. A spokesman for Co-op confirmed there had been an incident at its store. They said: “We can confirm that there was an incident at our Lindfield store, in High Street, in the early hours of Thursday, June 28. “Fortunately, no one was present and the store reopened to serve the local community. “The Co-op takes retail crime very seriously and implements a range of measures to both deter criminal activity and to aid convictions.